These should come with a warning label, so consider this as such. These are addicting. Very addicting. You may make them with the intent to use them to spruce up a salad, or to top a pasta or grilled fish or chicken dish, but take caution: these have only made it onto a dish once when I have made them. Every other time I eat every single one before they can make it anywhere other than a paper towel straight out of the pan. I can’t help it! They are a perfect combination of delicately crispy and salty. If you’re already a caper fan, you’ll go nuts for these. 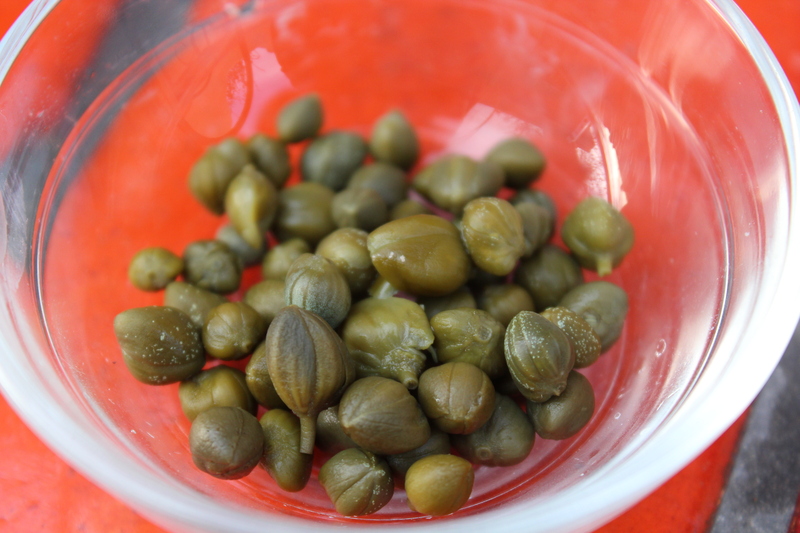 If you’re on the fence about capers, this might just be the trick to win you over. Either way, these are crispy and briny and add the perfect punch of flavor to so many dishes. Plus they only take seconds to make! Now you have no excuses. 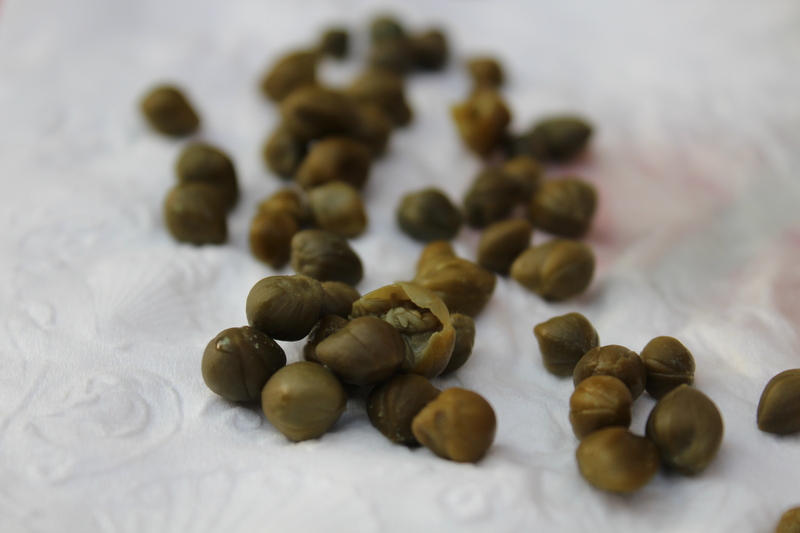 Drain the capers and pat them dry on a paper towel. 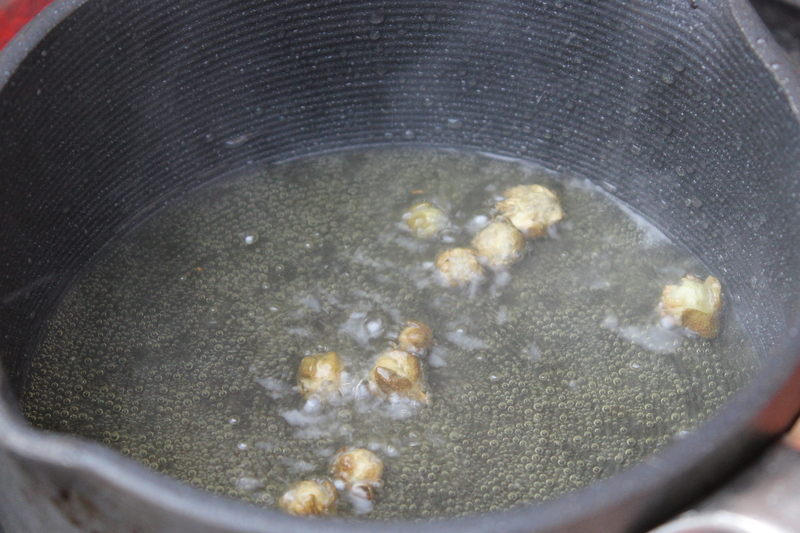 Next, heat the olive oil in a small saucepan. 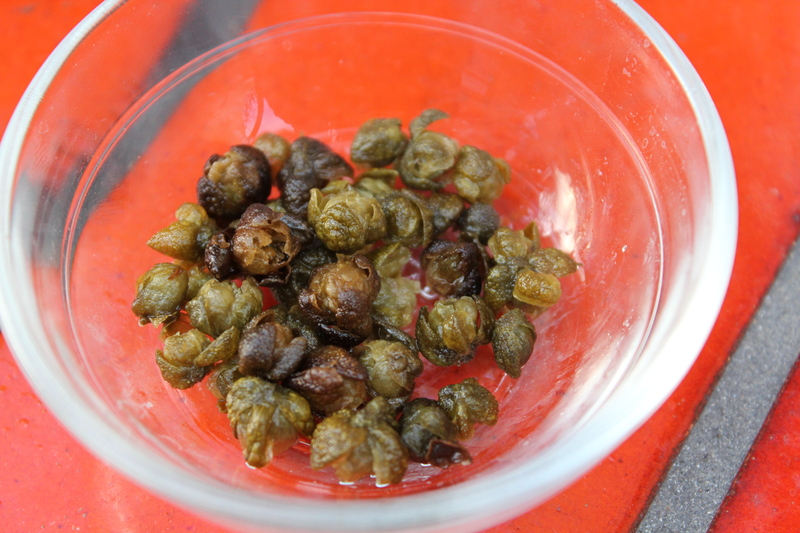 Once the oil is hot, fry the capers in small batches until they crisp up and open like flowers. 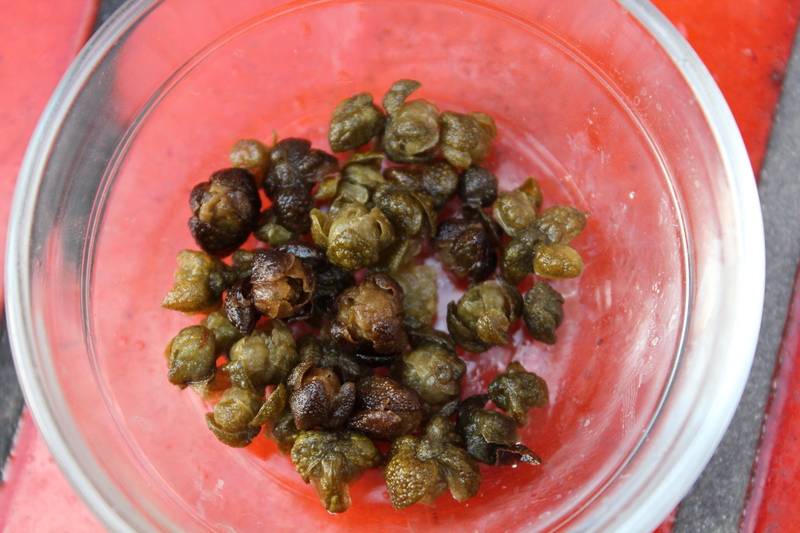 Drain fried capers on a paper towel and repeat until all of the capers are fried. Eat all of the capers and don’t share at all Top your favorite grilled chicken or fish, or pasta, or salad, or spoon with these and enjoy! i just came to your blog through, Reader. i clicked around a little and i really like it! btw, my parents were going to name me tsiporah, it’s such a beautiful name! Thank you! I agree, it is a very beautiful name 🙂 It is actually my hebrew name, my real name is Nicole. Thanks for stopping by, Lindsey! I love that your blog is gf and vegan- I’m currently living gf and dairy-free so I’ll definitely be checking out your recipes! They’re way too good, its dangerous. Enjoy!